Woodcreek Farms is the Columbia area’s premier luxury neighborhoods.  Located just about 20 mins drive outside of the city of Columbia in the Northeast region of the Midlands in a small town of Elgin homes for sale in Woodcreek Farms are comprised of custom, semi custom, and higher quality only approved builder homes. The neighborhood is situated within a country club environment as one of the best golf course communities of Columbia SC. The Club at Woodcreek Farms in Elgin has an 18-hole course and 14 tennis courts all with certified professional instructors, ball room, two outdoor pools, dining hall and more. The development features two spring fed lakes for fishing, and miles of walking trails and many of the sections are gated communities. Woodcreek Farms homes for sale range from the $200s to well over $1M for people of all ages. 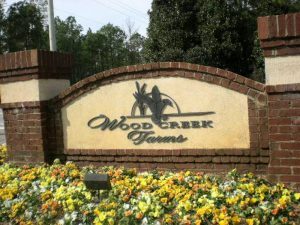 Woodcreek Farms is a master planned community The first home in Woodcreek Farms was built in 1997. Since then, approximately 400 homes have been added, with additional development scheduled over the next twenty-five years. Current active MLS listing are on the market for 38 days. Tennis facilities at The Members Club at Woodcreek & WildeWood include 8 lighted clay courts (4 located at Woodcreek and 4 at WildeWood), 6 lighted hard courts (2 located at Woodcreek and 4 located at WildeWood) and 2 climate controlled indoor hard courts at WildeWood. The Grill Room - The perfect place to grab a bite, watch the game, and hang out for casual eats. The Dining Room at Woodcreek - A luxurious setting for a night out for dinner without traveling to do it. The Pub at Woodcreek - open for lunch daily Wednesday - Sunday. After the golf course or tennis courts give you run, the Pub Room is the spot for a light lunch with friends. ATTIRE - “Golf casual” is appropriate for men and women at lunchtime, meaning shorts or khaki pants (with the exclusion of cargo pants or shorts with external pockets) and, for men, a tucked-in polo or button-down shirt. At night, the men would wear slacks (pressed khakis are fine) and button-down shirts or polo shirts. For women at dinner, nice slacks and a blouse are suitable, or a dress or skirt. Dress jeans are suitable for the bar area. Anyone (including non-home owners) can be members at the clubs. The members of Woodcreek Farms will also be members of Wildewood as the clubs are partnered for a dual membership experience. Our members enjoy the best of championship golf and private amenities at two phenomenal locations and we offer numerous membership options. The unique advantage of joining The Members Club at Woodcreek & WildeWood is that we are one club, with two locations. In the early 1990’s, Heath Manning partnered with Edwin Cooper, Jr., to develop Woodcreek Farms into an upscale, architecturally controlled golf course community. The currently averages 630 +/- members of both clubs enjoy all the wonderful amenities of two fully- operational locations. January 23, 2009 the members purchased the Club which is now owned and operated by the membership. As a Member of an Equity, Member-Owned Club, each Equity Member shares ownership in the Club and is entitled to vote on matters affecting the Club. The Club offers several categories of Equity Membership. Each category of membership provides certain privileges to use the Club facilities. Richland County 2 School District.